This weekend offers families a lot of fun, with an Arts Festival, Rib Festival, free concerts and a Farmer&apos;s Market all downtown. To make things easy, a shuttle will be available between the 17th Street Arts Festival and the Kiwanis Ribfest. It is free and runs regularly from 10 a.m. to 6 p.m. You can pick it up at the Depot Plaza at Capitol and Lincolnway or at the Dineen Building at East 17th Street and Pioneer Avenue. We suggest you park your vehicle in the Municipal Parking Structure at East 17th Street and Carey Avenue instead of trying to find parking on the streets. After 5 p.m. on weekdays and all day on the weekends you can park for free for an unlimited amount of time in the structure. Every Friday night during the summer, the Fridays on the Plaza is a fabulous event with free music. This weekend, there&apos;s two concerts Friday and more music through the weekend. Starting at 5:30 p.m. Friday you can hear music by Taylor Scott & Another Kind of Magick and then Deja Blu performs from 9 to 11 p.m.
On Saturday, Todd Derreemer performs from 3 to 6 p.m., Tripwire follows from 6:30 to 8:30 p.m. and Boogie Machine rocks you out into the night from 9 to 11 p.m.
There&apos;s more music Sunday afternoon from 2 to 4 p.m. with Beatgrass taking the stage. All bands perform on the Depot Plaza at Capitol Avenue and Lincolnway. The north end of the plaza is open to the public and allows for free viewing of bands on the stage. Does the idea of seeing new and creative art make you want to bounce up and down!? This weekend, you&apos;ll get your chance to do both ... see art and do a little bouncing. The first ever 17th Street Arts Festival is this weekend and will feature dozens of visual and performance artists, children&apos;s activities, food and fun. All of it will be on the block between Pioneer and Thomes Avenues on 17th Street, at the new Downtown Dineen building. The Festival begins Friday night with an Artist Preview Reception, including performances by local artists and a wine tasting bar. The Reception is from 5-9 p.m.
Then, you can spend Saturday from 10 a.m. to 8 p.m. enjoying visual and performance art, a children&apos;s area complete with bouncy house, family arts and crafts, and local art exhibits. The Performance Stage will showcase local musical and theatre acts all day long day. This celebration of art, music and Cheyenne is free, so come on down and, well, bounce around! 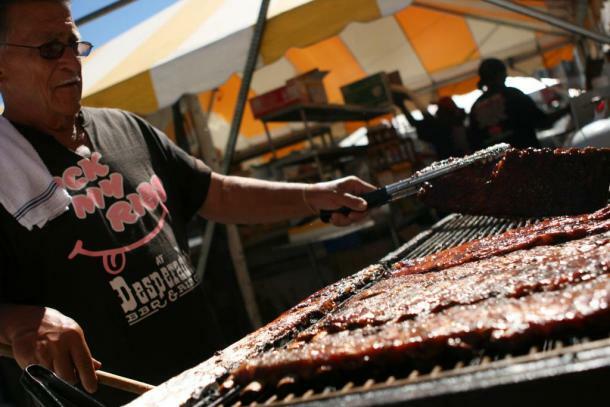 First and foremost a food festival, Ribfest is known for award-winning barbeque ... ribs, chicken, beef and all the sides prepared by world famous BBQ teams. These entrepreneurs spend their lives traveling the world from cook-off to cook-off. The competitors pride themselves on their recipes for BBQ sauces, beans, coleslaw and all of the little things that make an outdoor picnic fun and exciting. Showmanship is a big part of the life these chefs lead. From the thirty-foot high banners and flags, these cooks know how to put on a show! They constantly interact with those trying to make decisions on whether to have a rib sampler or a sandwich. They joke, dress in themed attire and place stickers on new customers with their company logos/themes. Make no mistake, the ribbers are in the entertainment business and know how to have fun. At Ribfest, the BBQ vendors actually compete for prize money. Each festival attendee receives a ballot to vote for their favorite rib cooking team ... based not only on quality of food and service, but showmanship as well. Purchase of a $3 armband required to buy food for people 13 years and older. The prices vary for each Rib Chef and ribs and sides are purchased directly from the vendors. Part of the Plaza is still open for the free concerts. Friday - 11 am. to 11 p.m.
Saturday - 11 a.m. to 11 p.m.
Sunday features more rib eating and a Car Show - 11 a.m. to 4 p.m.
For a mouth-watering taste and up-close experience of Wyoming and Colorado produce, come to Cheyenne Farmers Market! 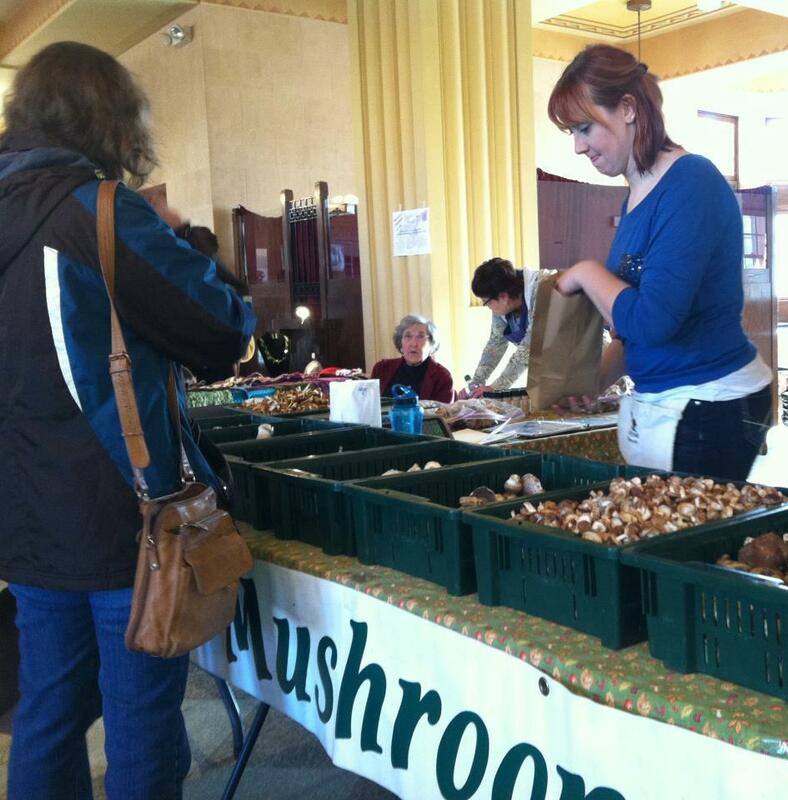 Sponsored by Community Action of Laramie County, the market brings you great foods and uses the generated income for programs that assist low-income individuals and families. At this event you&apos;ll find fresh peaches, berries, cantaloupe, sweet corn, onions, potatoes, tomatoes, cucumbers and squash. Roasted peppers, locally produced honey, candy, fresh baked breads, organic produce, trees, plants and flowers will also be available. For great tasting and healthy farm fresh foods, visit the Cheyenne Farmers Market from 7:30 a.m.-12:30 p.m Saturday on 15th Street between Capitol and Pioneer Avenues. 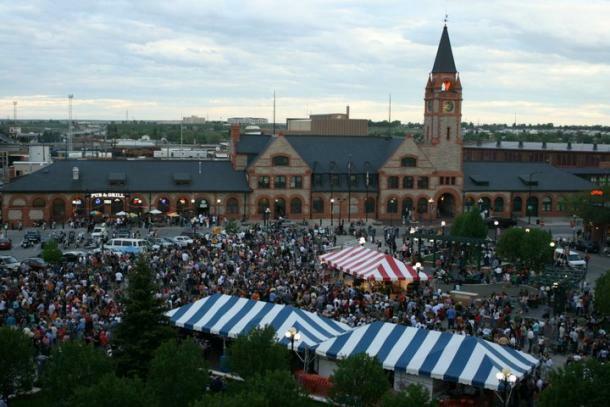 Normally, the market is on the Depot Plaza, but it&apos;s moved this weekend for the Ribfest on the plaza. 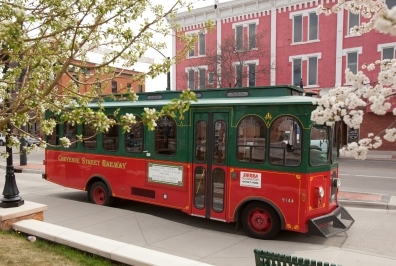 You can take a tour of the downtown historical district on the Cheyenne Street Railway trolley. On Friday, you can take the 90-minute tour at 1, 2:30 and 4 p.m. On the weekend, the two-hour tour starts at 10 a.m. and 1:30 p.m. Saturday and at 1:30 p.m. Sunday and takes a half-hour complimentary stop at the Cheyenne Frontier Days Old West Museum. The cost is $10 for adults and $5 for children 2-12 years old. You get your tickets in the Depot at Capitol Avenue and West 15th Street. The trolley then leaves from its parking spot just south of the Capitol Avenue and Lincolnway intersection. 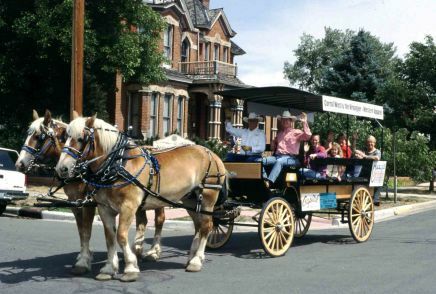 The Trolley shares a parking spot with the Horse-Drawn Carriage that takes a 30-minute tour of the lower downtown area. These rides are free. They will not run on Saturday, however it will be available from 11 a.m. to 4 p.m. today and 11 a.m. to 5 p.m. Sunday.